The “second screen”: Savior of bored TV watchers, scourge of movie ushers and … something for the future of videogames. By now it’s old news that many consumers always have one of these second screens, like a smartphone or a tablet, on their persons. But, like TV networks that encourage users to live-tweet their shows, the console makers seem set on using this year’s hardware refresh to make the interactive second screen a focus. 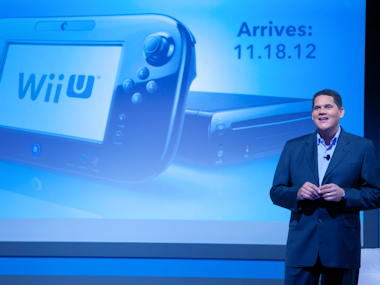 As with motion gaming back in 2006, Nintendo got to this conclusion first when it launched the Wii U last year. The console’s GamePad offers a six-inch touchscreen baked inside of a tablet-like controller, which can complement or duplicate the image on the main screen. 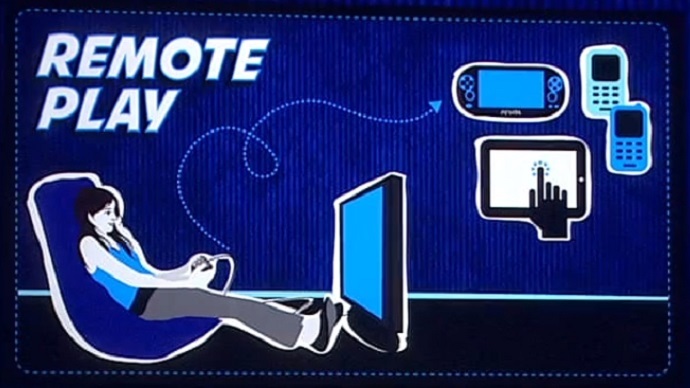 Or it may be used on its own for “Off-TV Play,” so long as the GamePad is within range of the main console. The first-mover’s floundering doesn’t seem to have deterred the rest of the industry. For example, at E3 this year, Electronic Arts showed off a next-gen-only upgrade of the “Commander” mode from Battlefield 2 for its upcoming shooter game, Battlefield 4. The mode, which in the new game will also be called Battlescreen, lets one player on each multiplayer team direct troops and resources in real time from a top-down menu; for the new game, EA promised that the feature will work on tablets via the Battlelog mobile app. Not all game developers have the resources to make comparable in-game experiences, but in recent interviews with AllThingsD, Microsoft and Sony execs made it clear that the second screen is a major part of their strategies for the Xbox One and PlayStation 4, but the two companies are tackling the concept in very different ways. Although both have already entered the domain with their current consoles, Microsoft’s Xbox SmartGlass and Sony’s PlayStation Remote Play are getting a significant booster shot come November. Microsoft is preparing a new SmartGlass app for the Xbox One, to be released this holiday season, rather than updating its existing one, which is compatible with the Xbox 360. Xbox Live General Manager Ron Pessner said the 360 was “released in a world where smart devices were BlackBerry devices.” In other words, a lot has changed. The company hopes to “integrate smart devices deeply into the Xbox platform … just like the Kinect and the controller,” Pessner said. The Xbox One will be able to support up to 16 connected devices at any given time — including up to eight wireless controllers — and the new app will be able to act as a sort of controller itself. One of the odder things about Microsoft’s strategy is that, despite the new SmartGlass app, some of the features one might expect to see on a second screen are instead promoted by default to the first screen, the TV, via apps that “snap” to the side of the screen. 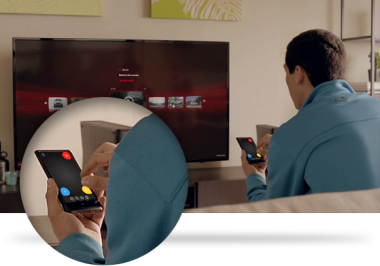 As shown in the console’s first TV ad, users will be able to open these snap-apps from the couch with their voices, and then switch among them, depending on what’s most interesting. However, Pessner said, some apps like the Xbox One’s help guide can be bumped onto the SmartGlass app to free up screen real estate. He suggested that developers could choose to bring experiences to one or both of SmartGlass and the snap-apps. For instance, a game like Battlefield, which puts Commander mode on the second screen, could make that same functionality available on the first screen via an app that comes and goes. It all comes down to what developers choose, and what’s worth their energies. On the other end of the table, Sony is not giving developers a choice: Nearly all PlayStation 4 games** will be second-screenable by way of the Remote Play feature that can stream games from the PS4 onto a PlayStation Vita. This works much like Nintendo’s Off-TV mode, streaming the game over a local Wi-Fi network. The good news for developers is that they apparently don’t have to do anything to make it work. 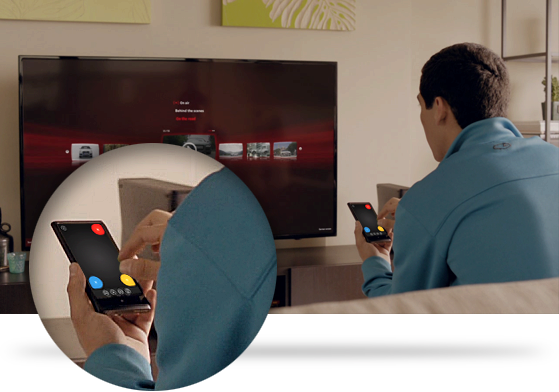 Remote Play takes advantage of game-streaming technology originally developed by Gaikai, a cloud gaming company that Sony acquired for $380 million in July 2012. 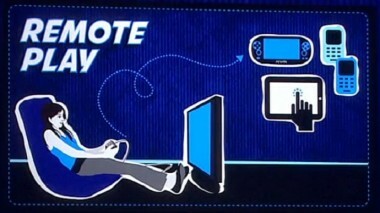 It might be more accurate to call the new Remote Play an “alternate screen” rather than the “second screen.” Koller emphasized that the Vita’s current Remote Play on the PlayStation 3 was about the social experience around games, rather than the games themselves, whereas the PS4’s streaming is all about continuing to play games, either outside of the living room or when someone else wants the TV. The graphics will be the same on the Vita as they are on the TV, he said, and the streaming takes over all of the PS4’s power, as well as the TV screen — meaning it won’t be possible to go back to using the PS4’s other features while Remote Play is ongoing. And what about non-Vita owners? 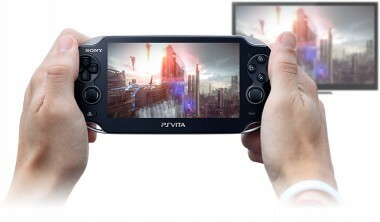 Koller acknowledged that part of the Vita-streaming strategy is to encourage consumers to buy and keep both complementary devices, but that the “PlayStation community will be incorporated across mobile properties.” In English, that means that the PS4 will also have its own dedicated mobile app, a la Microsoft’s SmartGlass, but that the gaming action will be on the Vita, while social/community features will be available on all supported mobile devices. So, to recap: Microsoft is going after all smart devices, Sony is mainly targeting users of its own handheld console, and Nintendo is bundling the only second screens compatible with its consoles in the same box as those consoles. Each strategy fits within the companies’ larger ambitions and target audiences, but will consumers bite? Mobile apps and online gaming communities built up around the new consoles may very well drive interest in the new hardware. The real test will be whether tapping into complementary devices is merely a means of keeping mindshare away from emails, texts and those pesky mobile games, or if it will make the actual gaming experience better. We’ll begin to find out in November. * Long tangent: The Wii U’s misfortunes may be the result of of poor messaging (check out this picture from a store in Australia with a handwritten sign trying to explain which games for which Nintendo console come in which colors). Or it may be because none of the titles that currently use the GamePad do all that much with it, as compared to the system-selling Wii Sports, wherein the games were built specifically for the Wiimote. Wii Sports and its sequel, Wii Sports Resort, have sold about 113 million copies combined for the Wii. For comparison’s sake, all the Madden football games for all platforms released in the current console generation have sold a combined 61.2 million copies, according to VGChartz. ** As best as I can determine, Sony can’t say all games, because some games require special controller peripherals that wouldn’t map well onto the Vita’s buttons. But Remote Play is baked into the console at the system level, so it’s not as though individual developers have opted out of it.